Research on e-government is taking a new phase nowadays, with researchers focusing more to evaluate the continued usage intention by the citizens rather than the initial intention. Continuance intention is defined as a person's intention to continue using, or long term usage intention of a technology. Unlike initial acceptance decision, continuance intention depends on various factors that affect the individual's decision to continue using a particular system, with trust being one for the most important factors. Therefore, this case study aims to examine the role of trust, particularly trust in the system, on continuance usage intention of an e-filing system by taxpayers in Malaysia. The primary discussion in this case study concerns the e-filing system in Malaysia, followed by the strategies for successful adoption of e-government services and the benefits of e-government adoption, concluding with future research directions. 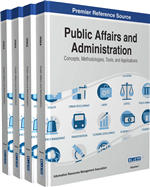 Advances in Information and Communication Technologies (ICT) have challenged governments all over the world to innovates their traditional structures and consider e-enabled approaches for the implementation of effective public service delivery and for improved performance within public administration (Adeshara et al, 2004). Interest in e-government has expanded over the past 10 years as government has viewed e-government as a lever for changing outmoded bureaucracies, making improvements in the efficiencies and effectiveness in public services, enhancing service to citizens and businesses and promoting participation and democracy (Rowley, 2011). According to Bhatnagar (2009), governments are spending billions of dollars to build online service delivery portals and United Nations E-Government Survey (UNPAN) (2010) reports that high income countries enjoy the top rankings in the e-government development index as they have the financial resources to develop and rollout advanced e-government initiatives and create a favourable environment for citizen engagement and empowerment. Electronic government or e-government refers to the government that makes use of ICT to work more effectively, to share information and deliver better services to the public more efficiently and to increase the speed of delivery of services combined with reduction in costs’ (Chadwick & May, 2003). According to Fang (2000), the term e-government refers to the use of information technology by government agencies, such as web-based networks, the internet and mobile computing, that have the ability to transform relations with citizens, businesses and other arms of government. Malaysia’s strategic shift into the information and knowledge era were guided by the Vision 2020 whereby, Malaysia has embarked on an ambitious plan by launching the Multimedia Super Corridor (MSC) in August 1996 which aimed to accelerate the country’s entry into Information Age and is executed in three phases from 1996–2020. The vision of e-Government was to transform administrative process and service delivery through the use of ICT and multimedia (Lean et al., 2009). Seven specific flagship applications were identified as the pioneering MSC projects which includes e-government flagship. Under the e-government flagship, seven pilot projects of E-Government Flagship Application were identified such as Electronic Procurement (EP), Project Monitoring System (PMS), Electronic Services Delivery (E-Services), Human Resource Management Information System (HRMIS), Generic Office Environment (GOE), E-Syariah and Electronic Labor Exchange (ELX) ((Muhammad Rais & Nazariah, 2003). Besides these seven main projects, several government agencies have taken initiatives to introduce online services for the public which includes e-filing of income tax payment (Ambali, 2009). As such, the objective of this paper is to evaluate the progress of the e-filing system and examine the effect of trust on the continuance intention of e-filing system among tax payers in Malaysia.